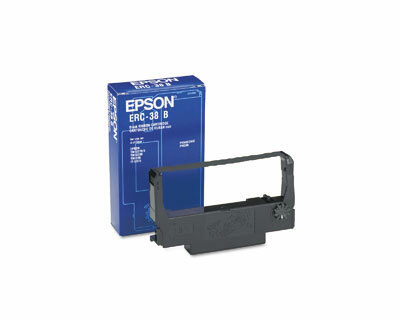 The Epson TM-U220 operates using small, replaceable ink ribbons as its primary consumable. 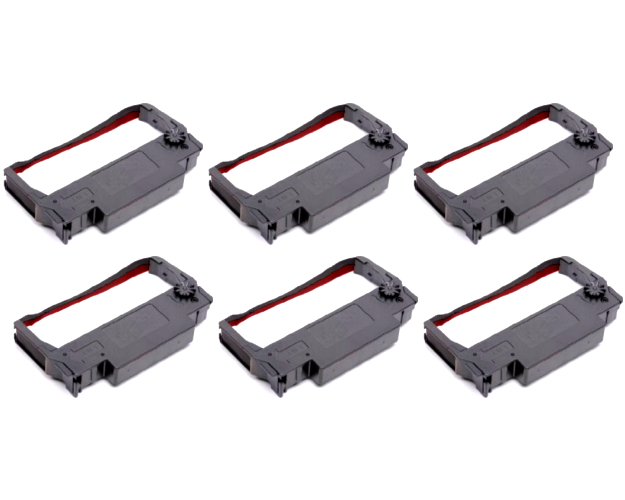 Replacing the ink ribbon cartridges was designed to be very easy and, regardless of what color ink is being used, the replacement procedure is the same. If you have just used the Epson TM-U220, be sure to wait a few minutes before replacing the ink ribbon as the print head itself could be hot enough to burn or at least cause discomfort. 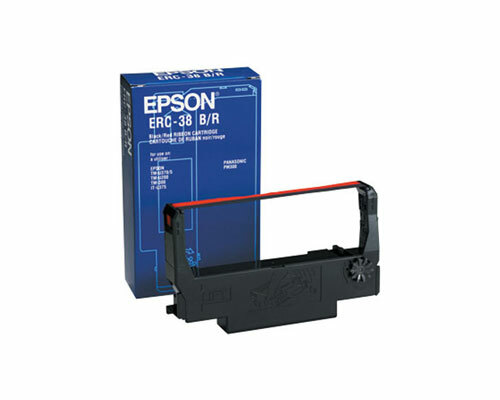 ERC-38 or equivalent cartridges must be used in the device for it to function properly. 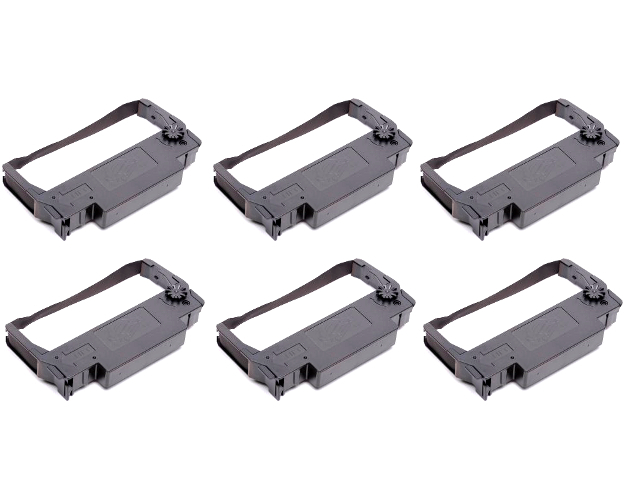 Tabs on the sides of the printer cover must be pressed in order to open the device and gain access to the old ink ribbon. Pull the old ribbon out of the machine and recycle it through a cartridge recycling program. You must lift the LEFT side of the ribbon cartridge first, then pull it upwards. Turn the knob on the new ink ribbon three times in the direction indicated by the arrow (clockwise) before inserting it. Note that you must never turn this knob in the opposite direction or the ribbon may be permanently damaged beyond repair. 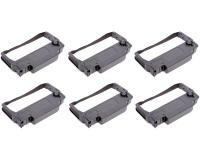 Insert the ribbon into the printer in the position that the old one was in. It must be pushed down upon until it clicks into place. The actual ribbon itself should fit between the print head and the platen. Guide the ribbon with a small object such as a ball point pen if necessary, but make sure not to crease the ribbon or to twist it. Turn the tightening knob another three times once it is in position to make sure that the ribbon is pulled taught. Close the cover behind the ribbon. 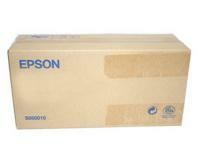 The Epson TM-U220 uses a roll type paper system to print receipts and must be resupplied often. Open the roll paper cover by pulling on the opening tab. If your printer is a type B or D, simply remove the old paper roll. Type A units have a take up spool that must be removed. Prepare a new paper roll by cutting a lead edge with scissors. If you tear the roll, a paper jam may occur. Install the new roll with the printer turned on by inserting the new roll into the position that the old one was in. You must be sure that the paper comes off the roll from the bottom and that, if you are using a two ply roll, both layers of paper are aligned together. If you are using a Epson TM-U220A, you must pull the roll paper to the bottom front of the printer to guide it. 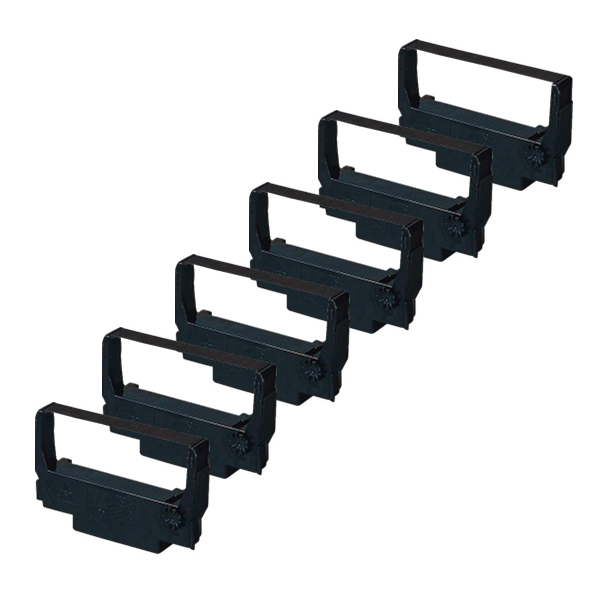 Make sure the flange is aligned, close the printer, and press the FEED button to begin spooling the roll. If you are using a printer type without a take up spool, you must pull a small amount of paper so that it hangs out of the printer when its cover is closed. 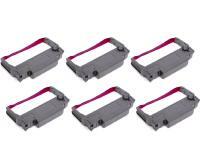 Once the cover is closed, tear off the excess paper by hand using the manual cutter.